About 25 percent of older adults admitted to hospitals have dementia and are at increased risk for serious problems like in-hospital falls and delirium (the medical term for an abrupt, rapid change in mental function). As a result, older adults with dementia are more likely to do poorly during hospital stays compared to older adults without dementia. Until now, little was known about the effects of dementia on early hospital readmission. Researchers in Japan recently published the results of a study to learn more about the effects of dementia and being admitted to the hospital within 30 days of a previous hospital discharge (the medical term for leaving the hospital once your care is considered complete). Their study was published in the Journal of the American Geriatrics Society. The researchers studied information from people 65-years-old and older who had been discharged from hospitals between 2014 and 2015, and then followed them for six months. The researchers were looking for unplanned readmissions to the hospital within 30 days of the patient’s discharge. Older adults with dementia had about twice the risk for hospital readmissions compared to the risk for those without dementia. However, the rate of risk depended on the older adult’s diagnosis. For example, people with dementia who were hospitalized for hip fractures were at higher risk for hospital readmission than people with dementia who were diagnosed with gallbladder inflammation. Older adults with dementia may have difficulty following directions about taking medication and attending follow-up visits. This may lead to poor health and readmissions. People with dementia may be less able to express their symptoms, which can delay decisions to seek treatment. The researchers concluded that the risk of readmission for older adults with dementia varies according to diagnosis, and that special discharge planning for people with dementia is important. 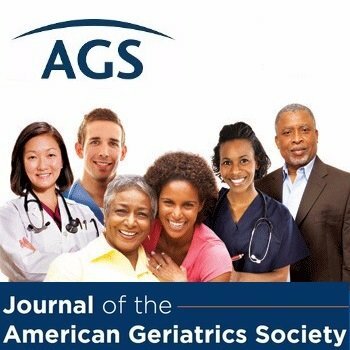 This summary is from “Dementia and risk of 30-day readmission in older adults after discharge from acute care hospitals.” It appears online ahead of print in the Journal of the American Geriatrics Society. The study authors are Nobuo Sakata, MD, MPH; Yasuyuki Okumura, PhD; Kiyohide Fushimi, MD, PhD; Miharu Nakanishi, RN, PSW, PhD; and Asao Ogawa, MD, PhD. This entry was posted in Health in Aging, JAGS Research Summaries and tagged dementia, hospital, hospitalization, readmission by HIA Guest Blog. Bookmark the permalink.